MW: Tell me about your first time playing on a stage? MK: Wow! that goes back not sure exactly. I am thinking it was a middle school lunch break my band Krude Witch played. It went nothing as planed and was over so fast it was a blur. MW: What did you think when Bang Tango got signed? MK: I was thrilled and thought I won’t have to worry about a day job for a couple years. Your imagination kinda can go crazy when you get a record deal. You start dreaming about touring and big arena stages and the whole brass ring dream. MW: Tell me about working with Howard Benson on Psycho Cafe? MK: Howard and me got on well. I spent an whole day with him and the engineer getting the perfect sound for the record and at the end the the day before we are about to start tracking he kicks me out of the studio. I was real nervous like what is up turns out he was comparing my sound to other bands guitar sounds. He was cutting his teeth on us and really cared about this record. MW: What was your favorite song on Psycho Cafe? MW: When did you know Bang Tango had made it? MK: I still don’t know if we “made it” ha! MW: What is one of the craziest stories about being on tour? MK: Ah to many to list. I jumped off a drum riser once hit my head on a light rig and hit the floor during a gig. My orange Jackson was stolen after a show and we found it stashed in the ceiling in the dressing room. MW: Do you think “Love After Death” will ever be released? MK: It was released in Europe. I feel it most Likely will in the states one day. MW: What made you walk away from Bang Tango? 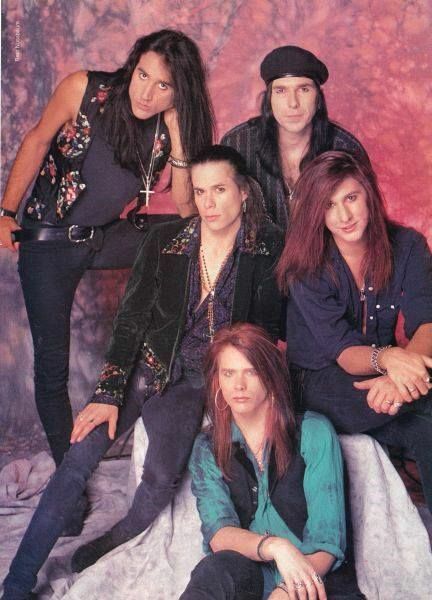 MK: Lot of ego in Bang Tango I didn’t really walk away the band just disbanded. MW: Do you ever wish you would have stayed? MK: Not without the original guys no. MW: Tell me about getting asked to be a part of the new Bang Tango documentary movie “Attack Of Life”? MK: Well it was my band so I figured I would get asked to be part of the movie. It was nice to tell the true story of the band. MW: What do you think of the finished movie? MK: After many versions of the movie I think Drew finally nailed the true story of the band. He had to turn over a lot of rocks to find the answers to the mysterious break up of the band and real story of how we were formed and where everyone is now. He did a nice job and stayed focused through all of it. Damn near killed him though. MW: What would you like to see out of the movie coming out? MK: Hope people find it interesting. MW: Do you see the original Bang Tango going on tour? MW: Tell me about Bang Tango Redux? 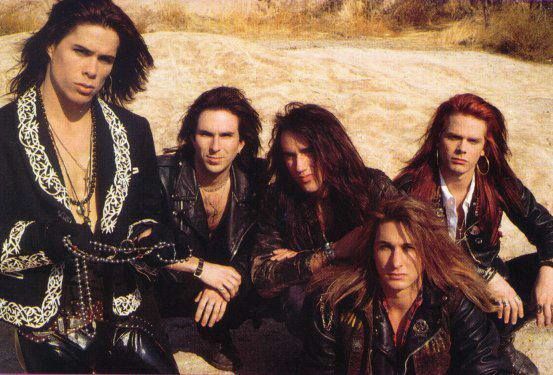 MK: The four original members had an itch to go blast out the Bang Tango music again especially the Love After Death material so I asked an old friend of the bands and x band mate to sing the stuff for us. We did a couple shows and that was the end of it. They actually went pretty well but not the same without Joe Leste. MW: Why didn’t you just do a full blown reunion with Joe? MW: Tell me about what you are doing now? MK: I am making my third solo record and getting ready to do some touring in the south this summer. It’s a real sparse acoustic singer songwriter story telling record and I am preforming material solo acoustic! just me and my Guild guitar. MK: Glad you all are interested in my music and thanks for the support… Check www.musicbymarkknight.com for updates..